To apply these liners correctly, you must use an Induction Cap Sealing System like the Enercon Super Seal Jr. This system will offer sealing capability, portability, and production flexibility. 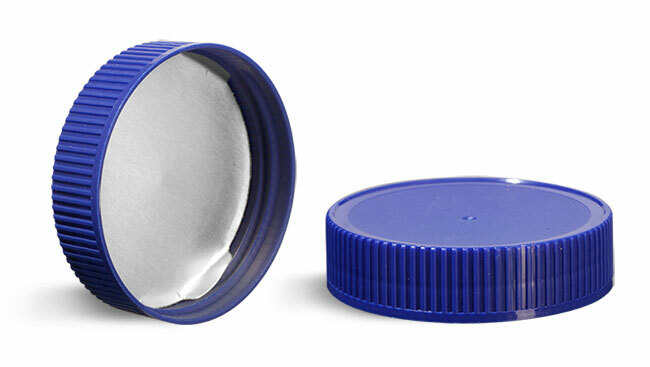 These blue polypropylene ribbed caps are compatible with our clear peanut butter jars. The plastic caps feature tri-foil #3 induction liners that will help to maintain the freshness of your product and are printed with "Sealed for Freshness."